The Farm & Table Experience the South’s premier conference and festival highlighting locally sourced food, will take place September 7 – 9, 2017 the New Orleans Ernest N. Morial Convention Center. Previously known as “Farm to Table Experience,” the newly branded Farm & Table Experience is a two-day multi-sensory celebration of locally sourced food and drink – one FREE family-fun festival day, the JAMBOREE, offers food and music, tastings, interactive gardening and cooking demos, games, displays, and more. A second day, Farm & Table CONVENE, is a gathering to discuss the cultivation, distribution, and consumption of food and drink, food trends, how to source food locally, and many more compelling issues facing the agri-culinary community. All events are open to the public. While New Orleans is already known as a premier food destination nation-wide, this event will promote the city as a critical center for agricultural and food chain solutions. This event will include one conference day, September 8, for both hobbyists and professional attendees and will feature keynote speakers of regional and national standing, educational sessions, tastings, networking and business development opportunities. The festival programming, September 9, will include music, chef demos, food and beverage vendors, Kids Zone programming, interactive displays, local vendors, hands-on workshops, tastings, and more. 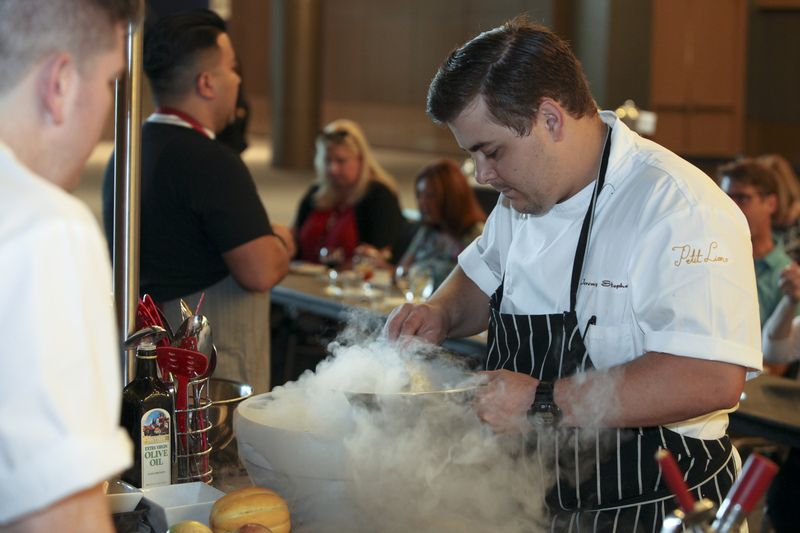 The Farm & Table Experience will also host the Chefs Taste Challenge (September 9) – A cooking competition aimed at broadening awareness for the use of fresh, healthy and sustainable ingredients. Ten chefs from the southern region will be selected to prepare a dinner entrée tasting course, and the guests will be asked to vote for their favorite dish. The chefs are required to select from lists of featured ingredients that are fresh and in-season. Registration will open in June at farmandtablenola.com. Questions? Contact Katie Calabrese at 504-582-3072 or info@farmandtablenola.com. The Farm & Table Experience will feature Tastings, Interactive Displays, Hands-on Workshops, Chef Demos, Educational Sessions, and more!